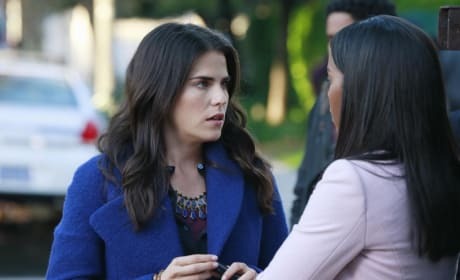 Karla Souza as Laurel and Aja Naomi King as Michaela on How To Get Away With Murder. Marcia Gay Harden has made her presence felt on How to Get Away with Murder. This is a photo from Season 1 Episode 12.